The range of ‘mini’ smartphones that came out in 2012 have already carved out a niche for themselves, becoming a smash hit with those who want something smaller and cheaper but with the same specs as the top-of-the-line flagships. The ‘Mini’ series was launched with the Samsung Galaxy S3 Mini in 2012. The Galaxy S5 Mini is the third generation model in the electronics giant’s mini product line and the smaller cousin of the Galaxy S5 flagship that it released earlier this year. Samsung has already confirmed that the S5 Mini will be available from early July in Russia and the global markets will follow, most probably with a mid-July release. There are no official price announcements available for the Galaxy S5 Mini but if Samsung keeps to form, then the Galaxy S5 Mini will be priced anywhere within £350 to £400 or around $550. The main features of the Galaxy S5 Mini in focus are its display, screen resolution, chipset, camera and design. Most of the specs of the Galaxy S5 Mini are bumped down versions of the flagship Galaxy S5 and a huge improvement over the ‘mini’ series, including the last Mini smartphone from the Samsung stables, the Galaxy S4 Mini. Here are the top 5 features of the Samsung Galaxy S5 Mini. 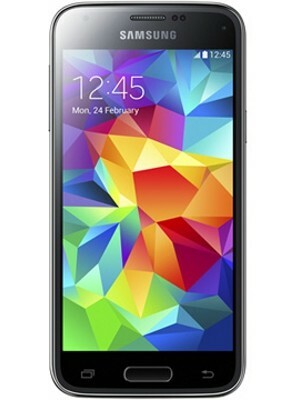 The Galaxy S5 Mini offers a 4.5-inch display, up from the 4.3-inch display of the last Galaxy S4 Mini. The real surprise in the screen section turned out to be the screen resolution. The Galaxy S5 Mini was pleasantly surprising with its 720 x 1280 pixel Super AMOLED display, a huge improvement over the 540 x 960 pixel qHD display that was found on the Galaxy S4 Mini. Although the screen resolution doesn’t match the Galaxy S5 in the sheer amount of pixels, the Galaxy S5 Mini’s resolution puts it on par with the likes of HTC One Mini 2 and Xperia Z1 Compact and the Moto X. The Galaxy S5 Mini’s design factor closely mirrors that of its bigger brother, the Galaxy S5. All that in 131.1 x 64.8 x 9.1mm dimensions putting it much ahead of the One Mini 2 and lighter than both the HTC One Mini 2 and the Xperia Z1 Compact at just 120g. And it is not only the looks that have been borrowed from the Galaxy S5; the Galaxy S5 Mini also has most of the hardware features of its bigger brother including the IP67 water and dust resistivity, the fingerprint scanner under the home key and the heart rate monitor below the rear camera lens. Samsung has bumped up the processor of the Galaxy S5 Mini to a 1.4GHz quad-core chip backed up with 1.5GB of RAM, which is an improvement over the dual-core chip that was found in the Galaxy S4 Mini. The Galaxy S5, on the other hand, is powered by the extremely impressive Snapdragon 801 processor which is a solid performer and much better than the Galaxy S5 Mini, but a downgrading was inevitable on the Mini. In the camera department, the good news is that the Galaxy S5 Mini offers a bumped up 2.1 MP FHD front camera for all the selfies that you were just dying to take. The rear camera is 8 MP auto-focus, same as the S4 Mini. 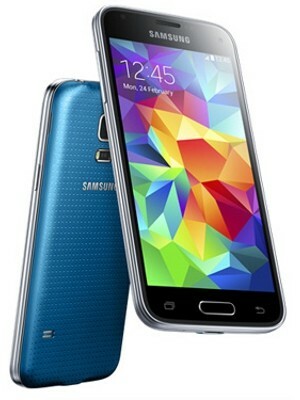 The Samsung Galaxy S5 Mini will be running on the Android v4.4 KitKat with TouchWiz UI from Samsung. There is not much to say about this except that the S5 Mini will be able to match the S5 when it comes to screen visuals. The Samsung Galaxy S5 Mini will be equipped with 4G, NFC, Wi-Fi, an IR blaster, Bluetooth 4.0 LE and a microSD card slot that allows memory expansion to 64 GB. The S5 Mini will have a 2,100mAh battery under the hood. The Galaxy S5 Mini is inevitably a trimmed down version of the flagship, but gets a significant bump over its mini predecessor. Comes as a great option if you are mesmerized with the Galaxy S5, but want it in a compact and affordable package.